Many of Abe Shinzo’s supporters are very passionate. That’s perhaps because he clearly spells out his policies. He declared he would conduct an assertive foreign policy when he was elected prime minister (in 2006). But the person who really tried to conduct assertive foreign policy was former Prime Minister Hatoyama Yukio. We all know what happened with that. The national leader who conducts assertive foreign policy without technique and without the skill for indirect statements is quite the fool. It will cause a lot of trouble for the people. It’s the North Koreans who say whatever suits them, and they seem to have thought it through in terms of game theory. I wonder about these people who would take advantage of Hashimoto Toru’s popularity to win a Diet seat (by joining his party, the Japan Restoration Party). We’ll act in such a way that we don’t become what the Democratic Party is now. The key is when and to what extent Mr. Abe approaches the third forces (reform parties). I would really prefer that the electorate votes with that knowledge. But considering his position, it is probably to his advantage to keep that quiet for now. THERE are eight million stories in the naked city, intones the narrator at the conclusion of both the film and television version of The Naked City, and this has been one of them. Shifting the dramatist’s eye to Japan’s lower house election scheduled for 16 December, there are what seems like several thousand stories, and the reform/regional parties that are fomenting revolution from the bottom up account for quite a few of them. Telling some of those stories requires a list of the dramatis personae, however, and that’s where we’ll start. * Hashimoto Toru, the mayor of Osaka, Japan’s second largest city, who became the nation’s most prominent regional politician to call for the devolution of government authority with stronger power given to local government. That has been an issue for more than two decades here, but he’s the man who achieved ignition and liftoff. He started a local party/movement called One Osaka that is now a national party known as the Japan Restoration Party. * Watanabe Yoshimi, a former Liberal Democratic Party member and minister in the Abe and Fukuda cabinets with responsibility for governmental reform. A supporter of devolution and radical civil service reform to tame the Japanese bureaucracy and its political influence, he left the LDP when prime ministers Fukuda and Aso abandoned that course. He then created Your Party with independent Diet member and former MITI bureaucrat Eda Kenji. * Kawamura Takashi, a former Democratic Party of Japan member and lower house MP. He ran in several elections for party president, which means he sees a prime minister when he looks in the mirror in the morning. He resigned from the DPJ to run for mayor of Nagoya on a platform of cutting municipal taxes and the remuneration of city council members by half. This is part of an ongoing movement for sub-national governments in Japan. He struggled to get his policy package passed by municipal legislators (natch), and stunned the political world and the country both when he resigned, ran again to make the election a referendum on his policies, and won in a walk. There’s more at this previous post. He’s formed a local party called Tax Reduction Japan that is now a national party with six five members in the Diet. They want to reduce the number of lower house Diet members by 80 (to 400) and cut their salaries in half. * Omura Hideaki, a former Liberal Democratic Party of Japan member and lower house MP. He forged an alliance with Kawamura Takashi during the latter’s second run for mayor of Nagoya. He was elected governor of Aichi, in which Nagoya is located, on the same day. He shares the same general political principles. * Ishihara Shintaro, former upper house and lower house MP, and governor of the Tokyo Metro District. Everyone knows who he is. The stupefying ineptitude of the Democratic Party government, the inability of the Liberal Democratic Party to reinvent itself as a coherent alternative during three years in opposition, the futility of seeking real reform from either of them, years of public dissatisfaction combined with a willingness to support anyone willing to take an axe to the waste and abuse in the public sector, and younger generations reaching middle age, have resulted in the national prominence of Hashimoto Toru. It soon became a question of when, not if, he would establish a national political organization. The answer was soon rather than late — less than a year after winning election as Osaka mayor, after spending three years as governor of Osaka Prefecture. True reform for Osaka requires further amendments to (national) law. But even when we try to do something locally, we run into the wall of Nagata-cho (a metonym for the Diet) and Kasumigaseki (a metonym for the bureaucracy), who control the mechanism of Japan. We have to change Japan from the roots. In addition to regional devolution, Mr. Hashimoto’s group also calls for the cutting the membership of the Diet’s lower house in half to 240, and cutting their salaries and publicly funded party subsidies by one-third. At that point the narrative became one of wondering who would and would not become his political allies. Not only did they need to team with simpatico regional parties, Japan Restoration needed someone or some group with a national reputation. Eliminated right away were the establishment LDP and the labor union-backed DPJ, but everyone had discounted that because both were part of the problem and not part of this solution. In an intriguing move, the Osaka mayor approached former Prime Minister Abe Shinzo in August to ask whether he would be interested in switching from the LDP to Japan Restoration. Mr. Abe expressed a strong desire to form some sort of alliance, particularly because they share an interest in amending the Constitution. But Mr. Abe eventually chose to remain in the LDP and run for party president, a campaign that he won. While both men would surely like to work together, the LDP is unlikely to support the long-standing Hashimoto proposal to convert the consumption tax into a funding source for local government, and end the current system in which the national government allocates public funds. The shape and nature of any alliance will probably be determined after the election. The results will determine who needs whom, and the extent of that need. Speculation on ties with Japan Restoration had always started with Your Party, the first real national reform party. Several of their most important positions meshed, including the creation of a new system of sub-national governments with greater authority and civil service reform. They both also came out for eliminating nuclear power (probably for populist reasons), though Mr. Hashimoto has since backed away from that one. Further, Your Party supported Mr. Hashimoto in the election for Osaka mayor, and they share some of the same advisors. At one point not long ago, people assumed that there would be a formal alliance. Rumors circulated that they had cut a deal in which Your Party head Watanabe Yoshimi would become the first prime minister if they won enough seats in the aggregate to form a government. But that’s not how it worked out. The reason seems to have been a dispute over who was going to be the boss. Your Party held talks with the people from Osaka before Japan Restoration was formed, and they wanted them to join the existing party before they created their own. Knowing that his poll numbers are better Your Party’s (they can’t seem to hump it into double digits), Mr. Hashimoto refused and suggested that they disband and rearrange themselves. Relations took a turn for the worse when three Your Party members, said to be unhappy with Watanabe Yoshimi’s leadership, quit and joined Japan Restoration. That caused more than a few unpleasantries to be hurled in the direction of Osaka. But discussions resumed because an alliance remains in both their interests. They talked about cooperation to implement eight common policies, which at that time included opposition to the consumption tax increase, opposition to nuclear power, support for regional devolution and the state/province system, support for civil service reform, support for constitutional amendments, support for election system reform, economic growth policies, and foreign policy (they both favor participation in TPP). The calls for a solid alliance seem to have come from Your Party, and Japan Restoration has turned down the offer for now. There was a meeting with Hashimoto Toru, Matsui Ichiro, and Watanabe Yoshimi at which blunt words were spoken. Their policies have not gained ground in the Diet, and they have become a group who can’t achieve them. Politics means taking responsibility for results. That requires a team that can create a decision-making approach. Gov. Matsui also told Mr. Watanabe in so many words to come down off his high horse: “It was our idea to create a new type of political organization.” The Your Party boss responded that they’ve been calling for political reorganization from the day they formed the party (which is true). He asked again for an equal merger, and again he was rejected. Mr. Matsui later said they will continue to talk to avoid running candidates in the same election districts, but it will be unavoidable, and they will try to minimize it. Perhaps Japan Restoration has some foresight about Your Party’s fortunes. Mr. Watanabe campaigned several times for a Your Party candidate in a local election last weekend in his home district in Tochigi, but the candidate lost to one backed by the LDP and New Komeito. Affairs are still in flux, however. Just yesterday Hashimoto Toru said Japan Restoration would probably be able to field only 100 candidates in time for the election. (One reason the major parties want an earlier election is to prevent the smaller parties from building a full candidate list.) He made a reference to working with Your Party if they also ran 100 candidates — in other words, supporting the east-west alliance he rejected a few weeks ago. Watanabe Yoshimi also gave a campaign speech today calling for the support of Japan Restoration. Whatever is going on here, you won’t be able to read a reliable account of it in either the Yomiuri Shimbun or the Asahi Shimbun, the nation’s two largest newspapers. The Asahi is opposed to Mr. Hashimoto because they’re of the left, and the Yomiuri is opposed to him because he’s anti-establishment. As the story at the link above shows, Nagoya Mayor Kawamura Takashi and Aichi Gov. Omura Hideaki formed a regional alliance for the Triple Election in February last year. Both also organized political seminars this year to train people who supported their ideas for elective office. Mr. Kawamura was the first to create a political party: Tax Reduction Japan. Mr. Omura followed by creating the Aichi is Top of Japan Party. The trouble started when he converted that party into the Chukyo Ishin no Kai, or the Chukyo Restoration Group, in August. The name is intentionally modeled on that of the Japan Restoration Party. His group was formed specifically to align with the Hashimoto group and fulfill the conditions for becoming a national party. That cheesed off Mr. Kawamura, who was on an overseas trip at the time. 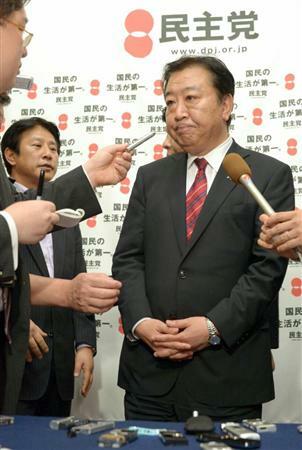 He was miffed because the Aichi governor told Mr. Hashimoto about his plans, but didn’t tell him. The Nagoya mayor flew off the handle, saying their relationship of trust was broken and they couldn’t work together any more. Some people saw it as a deliberate snub by Mr. Omura to break off ties with Mr. Kawamura. The former (at the left in the photo) is the straight-arrow policy type, while the latter (at the right) is the unkempt populist with a desire to be a major player. For example, he wondered if the Chukyo region would be relegated to being the subcontractor for Osaka. Hashimoto Toru encouraged both of them to patch up their differences, because working together is would benefit everyone, and the policies were more similar than different. And that’s just what the two men seem to have done while the media spotlight was pointed in a different direction. They announced an agreement to work together for the coming election after discussions that lasted late into the night of the 19th. During the Triple Election campaign in Nagoya and Aichi, volunteers from the Osaka group went to the region to help both candidates because of their general agreement on devolution. Since then, however, it’s been a long strange trip that keeps getting stranger. When Omura Hideaki created the Chukyo Restoration Group, Hashimoto Toru said that despite the name, they were unrelated to the Osaka group. They were independent and they hadn’t thought about an alliance for the national election. He added that Aichi support for their positions would be the condition for any alliance. But then in October, a group from Osaka went to Aichi for a conference with letter from Hashimoto Toru asking Mr. Omura to form an Aichi Restoration Party. The alliance seemed like a natural: Not only are their policies similar, but they share policy advisors in journalist Tahara Soichiro, former Finance Ministry bureaucrat Takahashi Yoichi, and Koizumi Jun’ichiro’s jack of all trades, Takenaka Heizo. 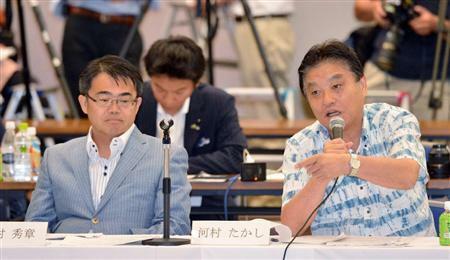 The Aichi governor said that an alliance would take time, however, because he was still working with Kawamura Takashi. A blurb of two or three sentences appeared in one newspaper earlier this week announcing that Aichi and Osaka had worked out an agreement. In fact, Mr. Omura would be given the leeway to choose the candidate for one of the Aichi Diet districts in the election. But just this morning, Mr. Omura announced that he would resign his position as advisor to the Osaka party to focus on his ties with Kawamura Takashi. Your guess is as good as mine about this one. The best I can come up with is that working with Mr. Kawahara is a better way to solidify his position in Aichi. Meanwhile, Kawahara Takashi’s attitude toward an agreement with Hashimoto Toru was 180° in the opposite direction. He was so anxious to create an alliance that a hand was coming out of his throat, as an old Japanese expression has it. The problem, however, is that both Mr. Hashimoto and Mr. Matsui have been giving the Nagoya mayor their cold shoulders. Mr. Kawamura thought a merger with Japan Restoration was going to happen when he reached an agreement to do just that with Ishihara Shintaro and his Sun Party, but no one else thought so. Mr. Ishimura thought it might be a problem with the tax reduction name in his party, and Mr. Kawamura obligingly offered to change it. But Hashimoto Toru said the name had nothing to do with it: it was all content. He also said, however, that “In today’s circumstances, tax reduction is the wrong message.” That doesn’t necessarily mean the Osaka mayor is a tax hiker; rather, his position has always been that there should be a public debate and a consensus formed about what public services people want to receive. After reaching that consensus, it will then be time to figure out how to pay for them. Mr. Kawamura, on the other hand, seems to favor the Starve the Beast approach: Don’t give the public sector the money to begin with. It isn’t widely known, but he also favors establishing neighborhood citizens’ councils to determine how public funds will be spent. In other words, his approach is the reverse of Mr. Hashimoto’s. The Nagoya mayor is also opposed to TPP participation, while the Osaka mayor favors it. They were both anti-nuclear power, but Mr. Hashimoto has since modified that stance. Also, two of the five Diet members in Mr. Kawamura’s national party, which was formed at end of October, were LDP postal privatization rebels that former Prime Minister Koizumi threw out of the party. Hashimoto Toru supports the privatization of Japan Post. Another reason Mr. Hashimoto cited for being unwilling to work with Tax Cut Japan is that another one of their Diet members, Kumada Atsushi, a lower house MP from Osaka, switched his party affiliation from the DPJ, but not before he accepted JPY 3 million to offset his campaign expenses. That’s not the sort of person he wants to work with. It’s not possible as of now. We haven’t had any policy discussions. There’s not enough time. After weeks of letting his tongue hang out in the national media, insisting that it would be easy to overcome the differences with Japan Reform, Mr. Kawamura announced today that he — he! — was rejecting an alliance with them. He’ll work with Aichi Gov. Omura instead. Lower House MP Kobayashi Koki, Tax Reduction Japan’s acting president, said the whole point of the party going national was to work with people like Japan Restoration. After Mr. Kawamura’s announcement, he said he wanted to leave the party and join Japan Restoration. He got approval for both of his requests. That brings us to strangest story of them all — the merger of Japan Restoration with Ishihara Shintaro’s four-day-old Sun Party and the appointment of Mr. Ishihara as the head of the party. Another factor is that Your Party wants no part of Ishihara Shintaro at all. An alliance would threaten any cooperation with them. 1. Convert the consumption tax to a regional tax and cap the rate at 11%. Making the consumption tax a regional tax will make a close relationship with the LDP difficult. 3. Implement measures to support SMBEs and microenterprises. 4. Social welfare funding sources: Eliminate the portion of central government tax revenues allocated to local governments, optimize social insurance premiums, reexamine benefit levels, and supplement the funding with revenues from the income tax and asset tax. 5. Take a positive attitude toward TPP negotiations but will oppose them if they’re not in national interest. This is a compromise for both men. 6. Create rules and other safety standards for nuclear power. Not only has is that a reversal of the Hashimoto position, it just might end opposition to nuclear power as a political issue. An NHK poll taken this week found that only 9% of the electorate considers it to be their most important issue. 7. Urge China to take Senkakus dispute to ICJ. 8. Prohibit corporate and group donations to politics. 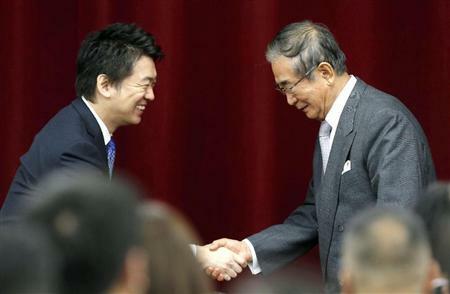 Mr. Ishihara suggested that he and Mr. Hashimoto share the party presidency, but the younger man declined and took the de facto number two position. His thinking was that he still has a job to do in Osaka, and Osakans would be displeased if he gave up his position a year into his term for a Diet seat. …People talk about a ‘third force’, but we have to become the second force. We have to discard our minor disagreements in favor of our greater agreements and fight together. I’ll be the one to die first, so I’ll pass on the baton later to Mr. Hashimoto. There’s no other politician who acts as if his life depends on it. Putting aside the question of whether this merger pays off in votes and Diet seats, there are advantages for both parties. Don’t forget that Ishihara Shintaro was the co-author of the Japan That Can Say No. He now is allied with a popular and adroit younger politician who can create the environment in which public figures will stand up for Japan, rather than truckle to other countries. He’s also popular enough to drive the issue of Constitutional reform — and several other previously taboo issues besides. For example, this week Ishihara Shintaro said this week that Japan should conduct a simulation of the use of a nuclear weapon as a deterrent. He added that he was not calling for a public discussion of whether Japan should now make nuclear weapons, but that it was only his personal opinion. Saying that you won’t have nuclear weapons means that your voice in world affairs carries absolutely no weight. Even the US gets all wobbly when it comes to North Korea’s nuclear program. It would be desirable if Japan-China relations were friendly, but it would not be desirable at all if Japan became a second Tibet due to Chinese hegemonism. The drawback is that this merger creates a political party with as much internal incompatibility as the Democratic Party of Japan. One of Hashimoto Toru’s most prominent advisors and supporters is Takenaka Heizo, the Koizumi privatization guru. Also in the party by way of Sunrise Japan is that most paleo of paleo-conservatives, Hiranuma Takeo. Here’s what Mr. Hiranuma thinks of the Koizumi/Takenaka policies. Perhaps it is the hope of the folks in Osaka that they’ll have outlived the paleos when the time comes they are no longer of use to each other. I’m no psephologist, and I have no desire to become one, so there will be no predictions from me about this election. You can hear all sorts of wildly varying predictions now anyway. The weekly Sunday Mainichi thinks the LDP and New Komeito combined will win 280 seats, giving them a lower house majority. They project the DPJ will win only 90 seats. The weekly Shukan Gendai, however, wonders if the LDP and New Komeito can reach 200 seats, and they think 75 is a real possibility for Japan Restoration. The cement in Japanese politics is now wet. The political realignment that people have been waiting for has arrived, or at least the first phase of it. The Big Bang election that just as many people have been waiting for has also arrived, or at least the first in a series of large bangs. If nothing else, the political class will finally learn what they can expect from the voters for betraying their trust and expectations after three years with the DPJ in charge. If they don’t now, they never will. I will not participate in a competition to lean rightward. This is the self-described conservative speaking. On the other hand, he has no choice, whatever it is he really believes. Roughly 40% of the current DPJ MPs have close labor union ties, and the party’s largest source of organizational support is labor unions. Sitting next to him was former agriculture minister, former DPJ member, and for another month anyway, lower house MP Yamada Masahiko. He heard this and marveled, “Oh, of course that’s what must have happened!” The announcer changed the subject. Some people expect an LDP-DPJ-New Komeito coalition based on the consumption tax increase passage. Perhaps this has all been a chaban geki designed to stifle the local parties while the stifling’s still possible. The LDP’s biggest foe is the LDP from three years ago, not the DPJ. * Prime Minister Noda is demanding that all candidates sign a loyalty oath to the party’s policies. That was the excuse Hatoyama Yukio was looking for to retire from politics. It will save him the embarrassment of losing his Hokkaido seat outright, which was a real possibility. * Former TV comedian and popular Miyazaki Gov. Higashikokubaru Hideo, who palled around a lot with Hashimoto Toru in 2008, is mulling a run as a PR representative for Japan Restoration in either the Tokyo or Kyushu bloc. He considered running again for Tokyo Metro District governor — he lost to Ishihara Shintaro last year — but decided against it. But that was earlier this week. Today he said he was still thinking about which he would do. * Only the old-line journalists are talking much about Ozawa Ichiro in this election. I suspect he is a man whose time has come and gone, and people see him as holding a losing hand. Both Hashimoto Toru and Matsui Ichiro have said they weren’t interested in any arrangement with him. One reason is that his unpopularity would wound Mr. Hashimoto in the same way that Abe Shinzo’s decision to readmit the Japan Post rebels to the LDP wounded him. * There are other local Restoration parties in addition to the ones discussed here. Three of them are in Ehime: One for the prefecture itself, with four prefecture council members, one for the city of Matsuyama, with 13 city council members (29% of the council), and one for the city of Seiyo, with seven council members (one-third of the total). They’re all working together. (They are) people who brought forth self-interested proposals using our common property, such as “the new public commons” and “from concrete to people”. Those ideas are now so tattered no one will ever be able to wear them again. ONE of Japan’s sports traditions is the national high school boys’ baseball championship at summer’s end. Teams play a single-elimination tournament for the right to represent their prefecture in the national round, and the prefectural winners play a single-elimination tournament to determine the national champions. One tradition within that tradition is for the players of a losing team at the national championships to scoop dirt from the playing field to take home as a souvenir. 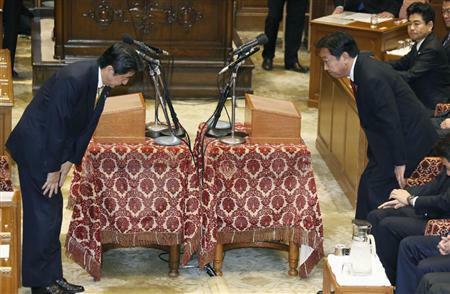 The Yomiuri Shimbun observed a similar scene in the lower house of the Diet on Friday when Prime Minister Noda Yoshihiko dissolved the Diet for an election next month. Several members, particularly first-termers from the ruling Democratic Party, pocketed the blue and white (actually plain) wooden sticks they use to cast their recorded votes. They know they’re not likely to use them again. Speaking of baseball, one ancient observation about the game is that it doesn’t build character, it reveals it. The same can be said of politics, although it might be better to say that politics exposes character — or the lack of it. Mr. Noda’s speech to the Diet dissolving the chamber was an exposure that revealed he never transcended his only defining characteristic before he became Finance Minister — big bluster. Every day for more than 20 years, he stood outside his local train station and delivered a political speech haranguing the commuters as they headed off to work. We’ve seen before that the content of those speeches bore no relation to his actions once he entered national government. The speech he delivered on Friday was just another page from the same script. It was a minor marvel of political surrealism. He began by congratulating himself for a heroic performance in facing up to a difficult job, an assessment shared by 17% of his fellow citizens. He blamed most of the difficulties on the pre-2009 Liberal Democratic Party administrations, which suggests that someone’s been translating Barack Obama’s speeches into Japanese. He did not mention that the annual budget deficits of the DPJ governments are 500% higher than the 2007 Abe/Fukuda deficit, and roughly double the annual deficit when Koizumi Jun’ichiro took office in 2001. That suggests he borrowed the excuse for the same reason Mr. Obama created it. The prime minister then hailed the great reforms achieved since the DPJ took control of the government three years ago. If you give the man on the street a week, perhaps he’d be able to think of one. He dismissed the Koizumi 2005 lower house landslide as a single-issue election, and said this election will be conducted on the basis of overall policy and the direction of the country. What he chose to ignore is that the single issue of Japan Post privatization represented the most important issue in Japanese domestic politics — breaking up the old Iron Triangle of politicians, the bureaucracy, and big business. Mr. Noda’s DPJ chose to turn back the clock, halt the privatization process, and place a Finance Ministry OB in charge of the operation. 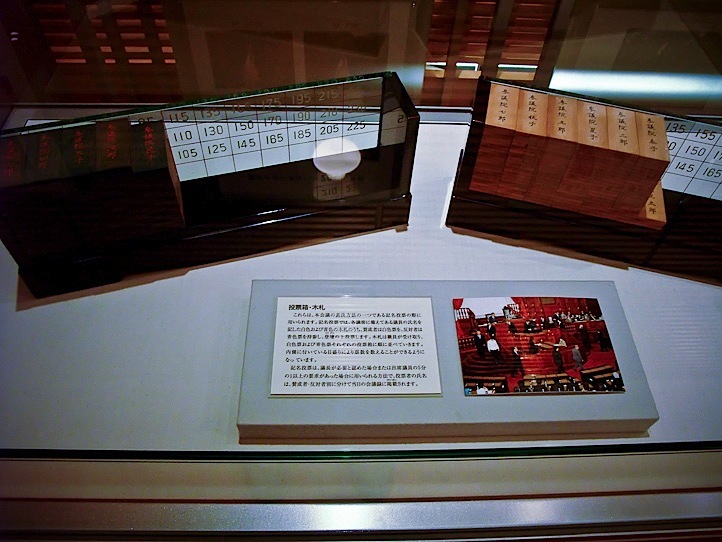 And speaking of turning back the clock, the prime minister used that phrase while warning that the LDP would take the country back to the political Stone Age. One wonders why he thought it was convincing. He and those bothering to listen knew one reason the people gave up on the DPJ long ago was that their behavior was even worse than that of the old LDP. He also attacked those who share the growing interest in amending the Constitution and ditching the pacifist peace clause. While the prime minister allowed that “sound nationalism” is necessary, it must not degenerate into “anti-foreigner rhetoric”. Unmentioned was that few people think Hatoyama Yukio’s claim that the Japanese archipelago was “not just for the Japanese”, bestowing permanent resident non-citizens the right to vote in local elections, and giving public assistance to a group of private schools run by a Korean citizens’ group affiliated with North Korea constitutes “sound nationalism”, if they had any idea what that means. What perhaps drew the most derision was his rationale for dissolving the Diet that he presented during Question Time on Wednesday: He had promised to do so if certain legislative conditions were met, and he didn’t want to be considered a liar. If being thought a liar was so horrible, came the chorus of the media and the reading and thinking public on the Internet, why did he and his government break all of their promises in their 2009 election manifesto — starting with the promise not to raise the consumption tax? The strangeness continued at the news conference following his speech. Mr. Noda criticized the LDP for their reliance on people from multi-generational political families. LDP President Abe Shinzo, for example, is a third-generation pol whose father was foreign minister and maternal grandfather was prime minister. Of course Mr. Noda did not mention the first DPJ prime minister, Hatoyama Yukio, who (with his brother) has one of the longest political bloodlines in the Diet. He is the fourth-generation politico in his family — his great-grandfather was a Diet member in the 19th century. The DPJ seems to be serious about this, though it is unlikely to have much of an impact on the electorate’s choices. Mr. Hatoyama got in trouble with his party for abstaining from a vote against the consumption tax increase, though he ran on a manifesto promising no consumption tax increase in four years. While he says he is willing to stay in the party he bankrolled with his mother’s money, he also thinks the DPJ could refuse to certify him as a party candidate. Mr. Hatoyama says he’s heard rumors that because Koizumi Jun’ichiro won acclaim for refusing to back former PMs Nakasone and Miyazawa in 2005, the party could give the same treatment to him. How like the DPJ to misunderstand the difference. Mr. Koizumi made that decision based on the ages of the other two men (both were well over 80). But considering that Hatoyama Yukio was just as unpopular as Mr. Noda is now, and he might very well lose his seat anyway, the party could be looking for a way to present a candidate with a better chance of winning. They’ve taken this strange step one step further. DPJ member and former 64-day prime minister Hata Tsutomu (in a different party) is retiring from his Nagano constituency as of this election. His son Hata Yuichiro is a DPJ upper house MP and the Minister of Land, Infrastructure, and Transport in the current Noda Cabinet. He wanted to resign his upper house seat and run for his father’s lower house seat, but the DPJ told him they would refuse to certify him. We in the LDP and the people have waited three years for this day. We are going to boldly confront them with policy. This dissolution was a coup d’etat by the prime minister. The social security reform and the dissolution were arranged by the DPJ, LDP, and New Komeito. The people weren’t consulted. No, socialist activist lawyers masquerading as social democrats don’t know much about constitutional democracy or electoral politics, do they? The most pertinent observation, however, came from Your Party chief Watanabe Yoshimi. He thinks this could be Japan’s political Big Bang. The Japanese electorate has for years told the political class what it wants very clearly, and held them responsible when they don’t listen. They went big for small government, privatization, and reform in the 2005 Koizumi landslide. When the LDP turned its back on the Koizumi path, the exasperated public gave the opposition DPJ power in the 2009 landslide. Within months they were exposed as inept charlatans, and now all that land will slide on them. You wouldn’t know it by reading the Anglosphere media, but voters in Japan spontaneously created their own combination Tea Party and Hope and Change movement long before either arose in the United States, both more ruthless than their American counterparts. They are quick to support the people who say what they want to hear, and just as quick to withdraw that support when they don’t walk the walk. It’s a funny old world. All eyes were on the American presidential election this month, and few eyes will be on the Japanese election next month. The vote in Japan is of much greater interest, however. It will be a more compelling display of democracy in action than the one held in the United States. NHK broadcasts Question Time in the Diet live on both television and radio. Most of the time it is the usual hot air accompanied by the usual posturing. That makes the broadcasts a public service in the true sense of the word. Sometimes, however, there are exceptions. It was always entertaining to listen to Koizumi Jun’ichiro, who combined a mastery of wit and repartee with remarkable bluntness, deal with the opposition. Then there was the day Tsujimoto Kiyomi, then of the Social Democrats, was questioning/berating Suzuki Muneo, then of the Liberal Democratic Party, for his involvement in several scandals. She got carried away with herself and called him a trading company for scandal. If you can imagine someone getting hysterical and going ballistic simultaneously, then you can see in your mind’s eye how Mr. Suzuki erupted/reacted. Today’s session between LDP President Abe Shinzo and Prime Minister Noda Yoshihiko was another exception. Mr. Abe pressed the prime minister to keep his vague promise for calling a lower house election when certain conditions had been met, and the dialogue quickly became heated. Finally Mr. Noda said that he would dissolve the lower house and call for elections on Friday if the opposition would agree to support the redistricting bill to remove the electoral imbalance among Diet districts that the Supreme Court has ruled unconstitutional, as well a deficit financing bill. The LDP leader snapped at the offer. As soon as the session was over, he convened a meeting of party executives. Their answer to Mr. Noda was, bring it on. Less excited were the members of the ruling Democratic Party — they and everyone else assume many of them will be job-hunting after the election — and just the day before some senior members were talking about dumping Mr. Noda. But they decided to set the date for the polls at 16 December. The pledge to call elections highlights the gridlock that has paralyzed Japanese politics for years, hindering progress on reforms needed to help revitalize an economy on the brink of recession and revamp government finances to cope with a fast-aging population. The gridlock is five years old and started with the DPJ’s victory in the upper house election of 2007. They spent the next two years sticking a rod into the LDP spokes every chance they got to force the lower house election that finally came in 2009. It ultimately didn’t matter, because the LDP had a supermajority in the lower house and could overrule upper house decisions whenever it wanted. And if reforms to revitalize the economy and revamping government finances were on the menu, the last people anyone should have entrusted with that task was the DPJ. They were capable of passing the legislation they wanted to implement because they started out with a ruling coalition in partnership with two smaller parties. They set records for the fewest bills passed during a Diet session on more than one occasion. Their performance was such that roughly 70 of their lower house MPs and one of their coalition partners have deserted them. “There’s a real failure of leadership. That’s in part because Japan’s expectations for leadership are unrealistic. But also because the quality of leadership in Japan is really low,” said Koichi Nakano, a professor of political science at Sophia University. Japan’s expectations for leadership are basic competence, doing what you say you’re going to do, and taking a stab at doing what the voters actually want you to do. If that’s unrealistic, participatory democracy is in bigger trouble than we thought. As for the quality of Japanese leadership, it’s low compared to that in which country? The best pre-post-mortem for the DPJ government I’ve seen was on the blog of Sankei Shimbun reporter Abiru Rui. Here it is in English. The lower house dissolution that I’ve been waiting so long for has finally, at last, somehow, been decided and a new election set for 16 December. After nearly three years and three months, the opportunity has come for the expression of the public will in a lower house election. The opportunity has come for the people to boldly proclaim what they’ve learned over the past few years. It’s fortunate that this situation has emerged before Japan is destroyed any further. Before the change in government, the Liberal Democratic Party had also come to a dead end, there was systemic fatigue, and the LDP had gone far off course due to their mistaken idea that they could win enough votes to return to the days of the old LDP. Many people left the party, internal party governance fell apart, and they were still attached to the old vested interests. All that is true, but these three years have been too long. The DPJ government has no ability, is not prepared, and has no qualifications to lead. It was very clear that they had reached their limit in the first few months of the Hatoyama administration. The subsequent Kan and Noda administrations were a series of blunders that elicited the contempt of foreign countries and furthered Japan’s stagnation and retrogression. Rather than being my feeling, that is what I believe. We have learned about the costs and risks of democracy to an extent that is unpleasant. Perhaps that was one of the few effects of the change of government. Perfection isn’t possible for the systems people create, so that makes it necessary to ceaselessly check and reexamine them. It’s perhaps possible to say that the change of government has given us plenty of food for thought. There will be no forgetting the lack of ability, impotence, mendacity, deceit, chicanery, evasions, deception under the pretense of benevolence, arrogance, cowardice, swelled heads, misconceptions, and bitterness the DPJ showed the people. From time to time I have written about the contempt, disparagement, and scorn they had for the public, and it is not possible to forgive them. Both Prime Minister Noda Yoshihiko and the senior members of the DPJ say they have no intention of handing over the control of government to another party. That might be bravado, but it can also be taken as an expression of their deep-rooted hubris. The Japanese voters should express their will and say they’ve had enough. It is my small hope now that they realize they want no more Hatoyama, no more Kan, and no more Noda, and show that through their votes. Of course not everything will go well after the election. The difficulties will still be with us. We don’t have a clear idea who will administer the government, nor in what sort of framework that will be. But even that will be far better than the Democratic Party of Japan, for whom words, common sense, laws, rules, and conscience have no meaning. Another news item passed by almost unnoticed in the drama of the day. Minister of the Environment Ozawa Sakihito announced he is leaving the DPJ and expects to join Osaka Mayor Hashimoto Toru’s Japan Restoration Party. The DPJ is now down to 247 members in the lower house, after starting out with more than 300 three years ago. A majority in that chamber is 241. UPDATE: That mudboat is sinking very fast. Three more DPJ lower house MPs have announced they have quit the party, including former Agriculture Minister Yamada Masahiko. Two more have announced their intention to leave the party, which means they have already de facto lost their stand-alone majority in the lower house. It isn’t just the DPJ, either. 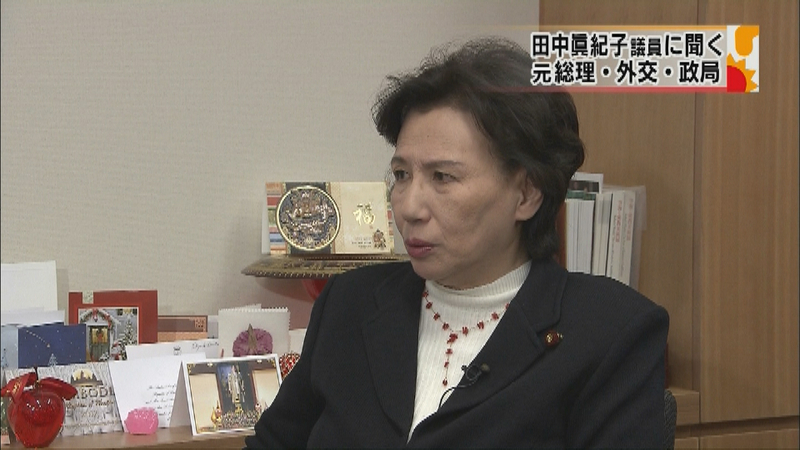 Abe Tomoko of the Social Democrats said she was leaving that party to hang out with the Greens. If this keeps up their membership will be able to meet in a sedan instead of a minivan. UPDATE 2: Some are of the opinion that Mr. Noda expects the party to lose up to 160 of their 240-odd seats, but that none of the other parties will win a majority, either. Therefore, goes the theory, he wants to create a grand coalition with the LDP and New Komeito after the election, to last probably until the upper house election in the summer. KJ: So Abe, what do you think is the most important thing for a politician? AS: I’d say it’s leadership and insight. KJ: That’s not it. It’s luck. Luck. Yasukuni is a “war shrine” in the same sense that Arlington National in the United States is a “war cemetery”, but that’s an example of the hazards you might encounter if you voluntarily enter Reutersworld. Kishi Nobusuke become the Minister of Commerce and Industry in 1941, and he served in that role until the 1945 surrender. Because he was a member of the government, the Allies incarcerated him at Sugamo Prison as a Class A war crimes suspect. He was released after three years. Kishi was not convicted of anything, because he wasn’t tried. Indeed, he wasn’t even indicted, though Tojo and a few other Cabinet members were. That might have been because his job was limited to wartime material procurement, and his opposition to continuing the war was a factor in bringing down the Tojo government before the surrender. This is an easily confirmed matter of historical record, but the lichtaffen have priorities more important than factual accuracy. There are two possibilities for errors of this kind. One is simple incompetence. Applying the principle of Occam’s Razor suggests this is the most likely explanation. If so, the people who once upon a time inaccurately reported on changes to Japanese high school history textbooks are incapable of elementary historical research themselves. Is this journalism, or is this vaudeville? But because this is a Reuters article, it’s also possible they’re pushing one of several agendas. In this case, it’s the agenda of a Japan unrepentant for its Godzilla-like behavior of a few generations ago and, by insinuation, ready to do it all again. One wonders if it is that Reuters employees are stupid enough to believe it, or they’re just happy to follow their employer’s editorial guidelines as long as they can deposit the paycheck. Once upon a time, I felt sorry for the people who read/consumed the news as presented by the outlet of their choice and thereby thought they understood something of what was happening in the world. But that’s over. Ignorance is no longer an excuse for the non-journalistic public. Even Wikipedia gets it right sometimes. As for the journos, they’ve never had an excuse. PRIME MINISTER Noda Yoshihiko’s personnel reassignments for his Cabinet and party last Monday were the picture of consistency. First, his Democratic Party government remains consistent in keeping the revolving door of Cabinet positions spinning at a frequency that prevents them from performing any role other than as press secretary for the ministries they represent. Second, Mr. Noda remains consistent in his distribution of ministerial portfolios to people unqualified to receive them. Finally, an unqualified English-language news media remains consistent in its incapacity to understand and present useful explanations of the events. Mr. Isoyama notes there was dissatisfaction within the DPJ because not all of the victors were receiving the spoils. As a result, Mr. Hatoyama’s successor, Kan Naoto, used Cabinet appointments as the front end of a quid pro quo before the party’s presidential election. He went through 35 people in 15 months. Meanwhile, Mr. Noda has already tapped 38 different people in his year in office, partly because his power base in the party is weak. He also has to use the posts as gold stars and cookies to stem the flow of MPs leaving the DPJ for other parties. Altogether, 68 separate people have served as DPJ Cabinet ministers, and the overall total of appointments, reappointments, and reassignments within their Cabinets now total 152. Another highlight of the reshuffle is who will replace Finance Minister Jun Azumi, who is being propelled into a top party post. Although Azumi has not been universally popular in financial circles, there have been concerns of a policy gap now that he is departing, although the minister has assured there will be no “political vacuum”. Prime Minister Yoshihiko Noda plans to name senior lawmaker Koriki Jojima as the country’s new finance minister in a cabinet shake-up due later on Monday, Japanese media reported. Jojima, who has served as parliamentary affairs chief in the ruling Democratic Party of Japan (DPJ), would replace Jun Azumi and take charge of the world’s third largest economy as it teeters on the brink of recession in the face of a global slowdown and strong yen. Jojima would likely stick to a fiscal reform drive pursued by fiscal hawk Noda, as he has worked closely with the premier in designing Noda’s signature plan to double the sales tax to 10 percent by October 2015. But little is known about Jojima’s view on monetary and currency policies. But a lot is known about how little is known about Japanese politics by the AFP and Reuters sausage grinders. There were no real concerns of a “policy gap”, because Mr. Azumi, a former TV presenter, knows nothing about fiscal policy other than what his Finance Ministry tutors spoonfed him after his appointment. Little is known about Jojima’s view on monetary and currency policies because he doesn’t have any. He majored in animal husbandry at university, was hired by Ajinomoto after graduation, and decided that labor union activities were preferable to working for a living. “Fiscal reform” in Reuters-speak means tax increases, especially of the progressive variety. The media applies the term “fiscal hawk” to Mr. Noda, as they did to Kan Naoto, because they’re parroting, either directly or indirectly, the Finance Ministry’s talking points. Mr. Kan couldn’t even explain the multiplier effect during his first Question Time session in the Diet after his appointment. Vice-Minister Katsu Eijiro resigned in mid-August, and it is reported that negotiations are underway to replace him with Manago Yasushi, head of the Finance Ministry’s Budget Bureau (N.B. : He got the job.) …The climate at the Finance Ministry is that achieving a tax increase (as Katsu did) is a medal for services rendered and a meritorious deed. Increases in tax revenue do not determine the evaluations of the Finance Ministry bureaucracy. That happens naturally when the economy improves. But increases in the tax rate are easily understood accomplishments. Those require amendments in the tax law, and are also proof that they twisted the “idiot politicians” around their little finger. Bureaucrats such as these are the real “kings of the Finance Ministry”, because they have shown themselves to be of higher caliber than the politicians. New Finance Minister Koriki Jojima said the government must “carefully consider” whether to extend the currency swap agreement with South Korea but refused to be drawn out on whether Tokyo will propose an extension. In other words, the Finance Ministry hasn’t decided yet. Noda may tap Beijing-friendly Makiko Tanaka, 68, as a new addition to the cabinet, the Asahi Shimbun daily reported on Sunday. Tanaka, daughter of former prime minister Kakuei Tanaka who normalised diplomatic ties with Beijing 40 years ago, has warm links with China which has been jousting with Japan over disputed East China Sea islands. Noda is considering appointing Tanaka to a ministerial post to signal to Beijing Tokyo’s intention of repairing the damaged relationship, the Asahi said. Commentator Ikeda Nobuo had only one word when he read that: “Stupid”. It is stupid, for at least two reasons. One is that the Chinese will interpret it as weakness and as a prelude to a modern form of tribute paid to a vassal. The other is that Tanaka Makiko is temperamentally unfit for any executive position in general, and a Cabinet portfolio in particular. We found that out from her spin as a daytime drama queen when she was Koizumi Jun’ichiro’s Foreign Minister. For some reason, Ms. Tanaka wound up as Education Secretary, a position for which she has shown no particular interest or aptitude. As everyone expected, she immediately demonstrated that she still doesn’t know when to keep her mouth shut. One of her first bon mots was that “There are deficiencies in Japan’s history education,” though she didn’t specify what they were. “The progressive capacity to limit Japan’s rightwing tendency and act for world peace?” Yeah, they’ve still got Reds in China. You hadn’t noticed? The Tanaka comment is the product of mixing someone who favors tilting foreign policy toward China and away from the West with the need to satisfy the “progressive” teachers’ unions, one of the party’s principal power bases. It might help relax the immediate tensions with China, but only in the sense that it will lead the Chinese to think that the Japanese leadership is finally showing some sense and starting to deal with those crazy rightwingers. It won’t help. Absent the arrival of a gargantuan black swan, she won’t be Education Minister this time next year, the DPJ won’t be in power, and there will be little change, if any, in the history curriculum. Then there are the problems on the domestic side. She already criticized the government’s nuclear energy policy when she said she doesn’t think ending nuclear power by 2030 is feasible. She’s right, but that’s what you get when you roll a loose cannon into the Cabinet. You never know when it will go off and where the muzzle will be pointing when it does. Makiko is also being Makiko. Another report just a day after her appointment claimed that she summoned one of the aides assigned from the Education Ministry bureaucracy into the women’s restroom to give him lengthy, detailed instructions on a particular matter. The report didn’t specify what she was doing in the women’s restroom at the time. Another thought she might have been chosen because she’s one of the few politicians in the country who wouldn’t flinch from doing verbal battle with Osaka Mayor Hashimoto, the head of the Japan Restoration Party. Mr. Hashimoto has thrashed the teachers unions in both the city and prefecture of Osaka, and the theory goes that the DPJ wants someone in the Education Ministry capable of standing up to him. She is less successful when it comes to the give and take of debate, or persuading an audience through the power of logic and persuasion. If Mr. Noda’s intent was to have some imagined Tanaka star power refloat his Cabinet, he was mistaken. Here’s one of the questions and the answer received when the Kyodo news agency polled the public from 1-2 October. Q: How do you evaluate the selection of Tanaka Makiko to the Cabinet? Speaking of the Kyodo Poll, it might be useful as a rough guide to the mood of the electorate, despite being conducted by random digit dialing (RDD). * Do you support the Noda Cabinet? The Yomiuri Shimbun poll had the support rate for the Noda Cabinet a few points higher, but it’s not enough to make a difference. The increase was normal for a Cabinet reshuffle, and absent other factors, it will have subsided in the next month or two. * Which party do you support? Note that the LDP supporters are more than double those of the DPJ, which in turn is barely ahead of Mr. Hashimoto’s party. Note also that the voters finally seem to be getting ready to flush the toilet with Ozawa Ichiro. * Do you approve of the DPJ leadership changes? * Do you approve of the LDP leadership changes? * How do you evaluate the Japan Restoration Party? * For which party will you cast your vote in the proportional representation phase of the election? This is important for several reasons. First, it shows that the public has written off the DPJ, which are now beyond political redemption (perhaps for good). Second, this poll was taken after the LDP selected former Prime Minister Abe Shinzo as party head. Note the month-to-month increase from last month to this. Those numbers are giving the Japanese left (and the residential foreigner left) gas pains. These results for Putting People First again show that Mr. Ozawa is fading away. He is a man out of time, and a man out of his time. Perhaps you’ve read the commentary that the Senkakus spat with China is all the fault of Tokyo Metro District Gov. Ishihara Shinto, the “fiery rightwing nationalist”. Some people desperately want to believe that his influence on the relative Japanese hardline in the Senkakus is proof that he’s leading the country to the right. Lunchmeat. Sunrise Japan is the party that Mr. Ishihara was instrumental in creating. There you see in black and pale blue (on this website) the influence of his party on national politics. The correlation of his views and that of many members of the public on a specific issue does not indicate he is at the forefront of a greater national trend. This seems to be beyond the capacity of some drive-by commentators or pundettes with an agenda (sometimes the same people) to see. Further, the numbers in this and other national polls show the first significant drop in support for Hashimoto Toru since his rise to national prominence. Some attribute that to the rough patch he’s had coordinating affairs with the Diet MPs who recently joined his party, or with some vagaries in the party’s statement of principles. I disagree, just as I disagree with the LDP’s claim that their jump from the previous month came solely from the election of Abe Shinzo. What I think is happening is something that isn’t showing up in the polls, because the news media polls are too generalized to elicit certain answers. This was the first round of polls taken after the Chinese ran amok in their September riots, implicitly encouraged by the modern Mandarins. The Japanese public is coming to see China as an existential threat. The shift to the LDP, I suspect, is due to the public’s choice of the political group they think is most capable of protecting them from that existential threat. After being appalled by how the Kan Cabinet handled the previous episode in the fall of 2010, they know that’s beyond the DPJ’s capabilities. Mr. Hashimoto’s deportment in the past month was not so bad (or so different) to cause the public to sour on him. Had not China and South Korea behaved as they have over the past two months, his numbers probably wouldn’t have changed. The public, in general, still wants reforms of the type he is promoting. His problem is that they’ve already seen how one set of amateurs deals with the Chinese, and they aren’t willing to entrust foreign policy now to a new group of beginners. Finally, lower house MP Sugimoto Kazumi, a first-termer from Aichi, left the DPJ and is considering membership in Your Party. That reduced the DPJ lower house delegation to 247, down from an original total higher than 300. They also have three members from the People’s New Party in their coalition, making 250. Subtracting Mr. Sugimoto and the three DPJ members who announced their intention to join the Japan Restoration Party, the DPJ’s magic number for losing the outright majority is eight, as one newspaper put it. Noda Yoshihiko’s objective seems to be to put off a lower house election until the last possible minute, which is next summer. If the leakage from the DPJ continues, that decision might be taken out of his and his party’s hands altogether. They also cite a few other of the nicknames given to the new lineup: “The clean out the inventory Cabinet”, and one that’s not easy to translate concisely, but means “Put something good on their resume to dress them up for the election”. YESTERDAY, senior officials of the South Korean Maritime Police (AKA Coast Guard) confirmed on Chosun Television the information that former Prime Minister Abe Shinzo revealed a year or two ago. According to the Chosun Ilbo report on the program, then-South Korean President Roh Moo-hyun ordered the maritime police to attack and sink two Japanese Coast Guard ships conducting a hydrographic survey in the Sea of Japan if they entered the waters near Takeshima. Roh gave the order on 14 April 2006. That was a few months before the end of the Koizumi administration, when Mr. Abe was the chief cabinet secretary. The Japanese had provided the International Hydrographic Agency with advance notice of the survey. When South Korea found out, they transferred 18 ships from their maritime police stationed in the West Sea and the South Sea, as the Chosun put it, to defend the islets. As the map above shows, the “West Sea” is what the rest of the world calls the Yellow Sea, and the South Sea is what the rest of the world calls the Jeju Strait. 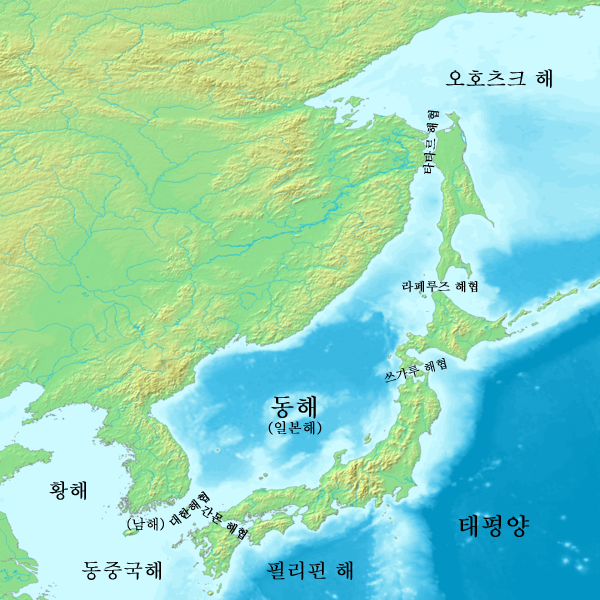 It also shows the Sea of Japan as the “East Sea”, but they generously put the real name in parentheses just below it. So to sum up, we have a leftwing president of South Korea sending a flotilla of 18 ships from the “West Sea” and the “South Sea” to defend Dokdo by attacking two vessels conducting a hydrographic survey. We’ve got the Communist Party in China forgetting everything it once said now that they’ve pried out of Japan the money they needed to kickstart their entry into the modern world, and are trying to pry one part of Japan loose as a preparation for prying loose all of Okinawa. Wouldn’t it appear to the disinterested observer that the problem is the real militarism of leftists in other Northeast Asian countries rather than the dreams of a non-existent militarism from a “far-right” politician in Japan? For another entertaining diversion, you might try the Hiroko Tabuchi piece on Mr. Abe’s election in the New York Times. It isn’t often you get the chance to see a major news outlet create an article out of a series of cut-and-paste observations so random as to be scatterbrained. Their headline also referred to Mr. Abe as a “nationalist”, and the article said his election might “help fuel tensions” in the region. Yes, she did use the word “help”, but no, I don’t think the Chinese and the Koreans really need any help with tension fueling. They’re already doing fine on their own. Note the underlying assumption that everyone else’s bad behavior is Japan’s responsibility to ameliorate. That’s pretty close to the truth for the Times. All you have to do is replace the word “many” with “all”. Tabuchi also explained that Mr. Abe resigned the premiership “citing an unspecified health problem”. Forty-five seconds on Google specified the health problem as ulcerative colitis, one symptom of which is severe diarrhea. He might not have specified it when he resigned, but the Japanese news media did. 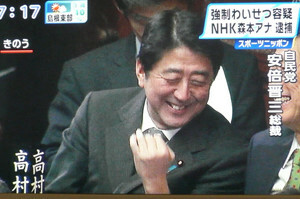 In Mr. Abe’s case, it involved 30 trips to the bathroom a day, none of which relieved the pain in his abdominal area. He says that a new drug approved for treatment two years ago has helped considerably. 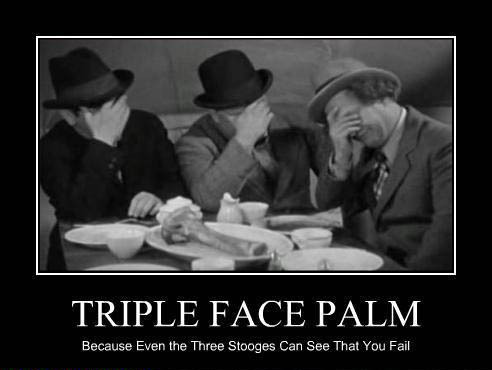 Now if we could only find an equivalent medication for the news media. And here it was just a month ago that he appeared on Japanese television to tout his East Asia Peace Initiative, one of the clauses of which was to refrain from escalating tension. Mr. Ma’s family name, by the way, translates to horse. He’s not living up to it, however. It’s hard to tell whether he’s a donkey or a horse. That might have been the Last Emperor, but the dreams of empire are still alive. THE balloting to select the new president of the opposition Liberal Democratic Party has just finished, and the LDP has chosen former Prime Minister Abe Shinzo as its new leader. That means Mr. Abe stands a good chance of becoming prime minister again following the next election. Well, that’s accurate in one sense: Japan isn’t turning to social democracy and uno mundo imposed and enforced from the top down. And if you’re in a reading mood, the links to the post before and the post after in May 2007 might be of interest as well — particularly the one the right with commentary about the Japanese Constitution, and what Ishihara Shintaro suggested the Chinese government would do when their economy hits a rough patch. Abe’s previous 2006-2007 tenure as prime minister was marked by a nationalistic agenda. He urged a revision of Japan’s pacifist constitution, pressed for patriotic education, upgraded the defense agency to ministry status and pushed for Japan to have a greater international peacekeeping role. News outlets should give serious consideration to shifting their AP reports to the Entertainment section. Time for some neo-nationalist music. It’s funky as the dickens, has three of the four original members of Nenes, and the bandleader wearing a hibiscus in the lapel of his white suit. AS I write, the world is wondering what in the world has happened to Xi Jinping, China’s vice-president and soon-to-be president (perhaps next year) and head of the Communist Party, perhaps as soon as the CCP gets around to scheduling its party congress. Mr. Xi hasn’t been seen in public for a fortnight and has skipped several meetings with foreign leaders. That’s prompted speculation reminiscent of the photo analysis of the relative positions of Soviet officials reviewing parades in Red Square during a previous age. Rumors have ranged from a pulled muscle caused by swimming to a heart attack, the failure of an assassination attempt by staged automobile accident, and most recently, a stroke. Hong Kong’s iSun Affairs website says he’s just busy with work. The party simply “does not think that the public has a right to know about the affairs of leading personnel unless the message is carefully controlled and positive,” said Harvard University China expert Anthony Saich. “I’ve been following Chinese politics for about 30 years,” said Rudd, a Mandarin-speaker who served as a diplomat in Beijing in the 1980’s. No, he doesn’t know what’s going on either. If Xi’s absence is indeed health-related, he would join some of his forebears among the ruling elite who suddenly vanished for health reasons with no explanation. The party barred all discussion about the frequent absences of Politburo Standing Committee member Huang Ju, who died of illness in 2007. And then-Premier Li Peng also disappeared for several weeks in 1993 after what was believed to have been a heart attack. China’s silence on Vice President Xi Jinping’s 12-day absence from public view contrasts with past rebuttals of speculation about top officials and is escalating concern over the nation’s leadership succession. Richard Rigby, a former Australian diplomat and China expert at the Australian National University, said the Communist Party has become more sensitive to public opinion on certain issues, such as nationalism and social unrest. “But when it comes to the leadership, the old conspiratorial instincts of an underground party come to the fore,” he said. They still haven’t made up their minds on the story they want to tell. Japan’s quasi-public network NHK has an international news broadcast that’s carried in China. 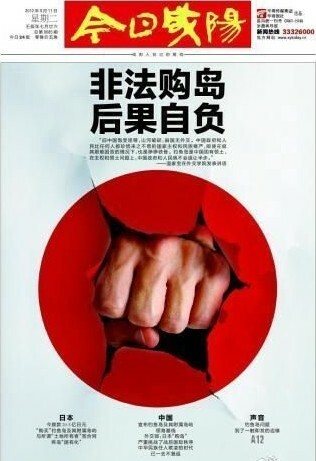 Last night they reported on Chinese opposition to the government’s purchase of the Senkaku islets from their owners. The story then segued into a segment about the speculation over Mr. Xi’s whereabouts, but the only people in China to see it were the censors. The screen suddenly went black and the sound was cut off. We all know by now about the simmering leadership crisis in China. The Bo Xilai affair has lifted the lid on a hornet’s nest. I had not realised quite how serious the situation has become until listening to China expert Cheng Li here at the Ambrosetti forum of the world policy elites on Lake Como…Nor had anybody else in the room at Villa d’Este. There were audible gasps. The rifts within the upper echelons of Chinese Communist Party are worse than they were during the build-up to Tiananmen Square, he said, and risks spiralling into “revolution”. Dr Cheng — a Shanghai native — is research director of the Brookings Institution in Washington and a director of the National Committee on US-China Relations. He argues that China’s economic hard-landing is intertwined with a leadership crisis as the ten-year power approaches this autumn. The two are feeding on each other. “You cannot forecast the Chinese economy unless you have a sophisticated view of the political landscape and the current succession crisis,” he said. One reason people are smelling revolution in the air is that Chinese leaders treat their country as the mobsters used to treat Las Vegas casinos: As a cover for skimming the profits. The worry is that the transition could go badly awry as 70pc of top cadres and the military are replaced, the biggest changeover since the party came to power in the late 1940s. “That is what is causing capital flight. All the top officials are trying to get their money out of the country,” he said. Dr Cheng grew up during the Cultural Revolution. That makes one very sensitive to the risks of sudden lurches in the Chinese ruling system, not always for the better. He said the scandal around Bo Xilai and the party machine in Chongqing – and the fight-back by Mao nostalgics – is a symptom of a much broader crisis. The word in Beijing is that Bo Xilai alone has squirreled away $1.3 billion, but there are other even worse cases. Mr Cheng said a former railway minister – known as Mr 4pc — had amassed $2.8 billion. 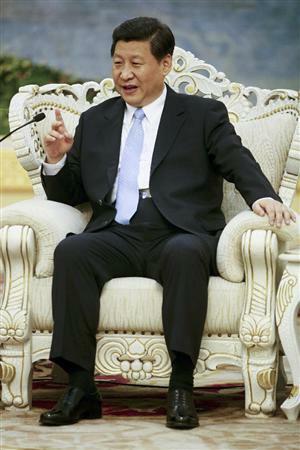 “This level of corruption is unprecedented in the history of China and unparalled in the world,” he said. But not even mandarins can fool all the people all the time, and all the natives in China are getting so restless they’ve become explosive. The 19 September issue of the biweekly Sapio in Japan contains a report on that restlessness. Here are the highlights. * There are an average of 500 public disturbances a day in China, and up to 180,000 a year. They aren’t reported unless they’re very big, many people are injured, or are directed at Japanese corporations. * When the author of the report arrived at the Shanghai Airport in May, a sit-in was underway complaining about runway noise. One of the many signs read, “What is this country’s government doing?” One thing the police weren’t doing was to stop it, which is a change from their past practice. * On 23 May prosecutors, a committee to prevent party corruption, police, and officials from the foreign ministry and those supervising international financial institutes formed a study group to stop corruption. They were supposed to come up with solutions, but only identified the means employed — skillful book cooking and money laundering, Hong Kong subsidiaries, and paper companies in the Virgin Islands. Public dissatisfaction is growing, and there was a sharp increase in disturbances last year. 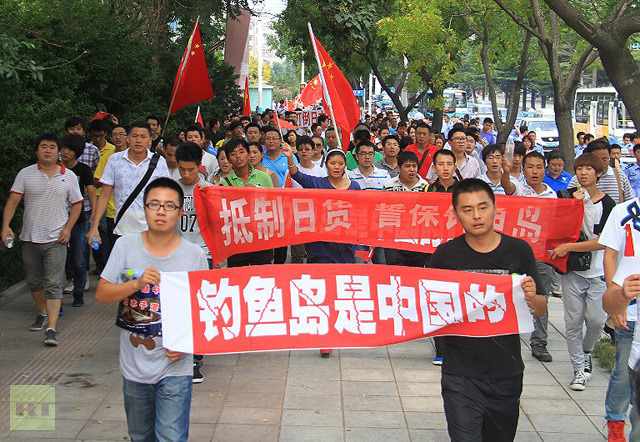 * In May 2011, students demonstrated in support of livestock herders in inner Mongolia protested mining operations whose discharges had caused serious pollution and killed livestock. It involved several thousand students and several deaths. * In the same month, down south in Fuzhou, there were three synchronized explosions at government buildings. The perpetrator also died, leading the government to declare that it was a suicide bombing. The events occurred around nine in the morning and were reported by the Xinhua news agency, but the report was scrubbed from their website by 1:00 p.m. Though an effort was made to characterize the bomber as a terrorist, the Chinese Internet viewed him as a hero. People were sympathetic to his case because he was victimized by authorities and had no means of redress. * In June, there were more bombings in Dezhou, Zhengzhou, and Laiyang at Public Security bureaus (national police) and other government institutions. * The heavy rains this July caused extensive flooding in Beijing, but not the part of town where government officials live and work. The drainage was excellent there. That led to violent demonstrations in August. * Also this year, there was a pitched battle in Caishi in the Xicheng district of Beijing between gangsters and local residents. The mob tried to evict residents for a new building development, but the residents didn’t want to move. The gang started up bulldozers and cranes to tear down the homes on the site with the people still inside. They fought back with iron bars. Most remarkable is that the district is the location for many government, party, and military offices, and should have plenty of security. * A report from a different source describes how the residents of Qidong took to the streets after the denial of their formal application for a protest a few months ago. They were concerned that the construction of a paper mill would result in water pollution. 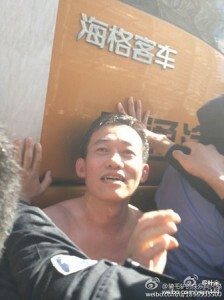 They rolled police cars, broke into government buildings, and dragged Mayor Sun Jianhua into the street, where he was stripped and made to wear a protest shirt. Private-lending victims nationwide filed more than 600,000 lawsuits valued at 110 billion yuan in 2011, an increase of 38 percent from the previous year. In the first half of 2012, the number of filings rose 25 percent to 376,000, according to People’s Court, a newspaper run by China’s Supreme Court. The loans include off-balance sheet financial engineering conducted by legitimate institutions. Imagine the news coverage in the West if this was happening in their part of the world. China is beginning to look as if it is in a pre-revolutionary state, but the media is more interested in playing Where’s Xi Jinpin. 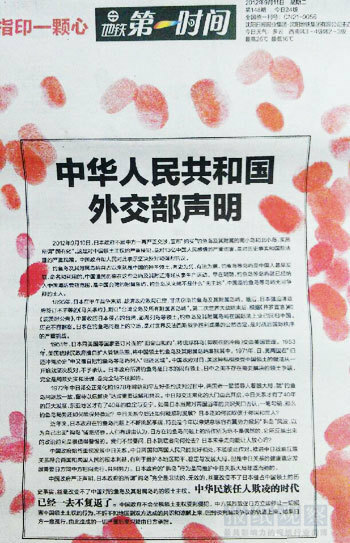 That’s the front page of Xianyang Today, which doesn’t seem to like Japanese flags either. The headline reads: In Illegal Island Purchase, You’re to Blame for Consequences. And there are a lot more where that came from. There are curious aspects to this development. There were scattered demonstrations in a few Chinese cities when the Japanese purchase was announced, and the Chinese government called for “rational expressions of patriotism”. The conventional wisdom is that they’re afraid anti-Japanese demonstrations will quickly morph into anti-government demonstrations. But how can they expect rational displays of patriotism when the state-controlled media deliberately whips the 1.2999 billion into a frenzy with front page pictures of fists and bloody fingerprints? Of course there’s more. * State-run TV broadcast the military’s amphibious landing and combat training exercise on “an uninhabited island” in the Jinan Military Region. Japan took the Liu Chiu Islands, which Japan calls Okinawa, by force from China in 1874, when the Qing Dynasty (1644-1911) was at war with several countries. The Diaoyu Islands, though, remained under the administration of Taiwan. Following China’s defeat in the Sino-Japanese War in 1894-95, the Qing government ceded Taiwan, including its subsidiary islands, to Japan. Other than the fact that the Qing Dynasty was fighting the Europeans, everything in this article is a deliberate falsehood. In fact, the government’s official position is that the 1943 Cairo Declaration limited Japan’s territory to only the four islands of Honshu, Hokkaido, Shikoku, and Kyushu. But China was jobbed! As stated above, it’s perfectly logical to conclude that the Diaoyu Islands, being part of the Taiwan territories, have been returned to China. So where do the claims to the contrary come from? In part from an illegal treaty the United States and Japan signed in San Francisco in 1951 in the absence of China, one of the victors in the war. Article 3 of the treaty wrongly assigned the Diaoyu Islands and other islets to the Liu Chiu Islands, which was then under the US’ control. This is what people mean when they say the Chinese Communist Party has tried to legitimize itself with the public by promising to make everyone else in the world pay for what they did to the country for the past century and a half. Given the rampant rightist tendency seen in Japanese politics and the potential dangers Japan poses to its neighbours and the region at large, there is an imperative need to set the record straight. The Chinese military said yesterday it “reserves the right” to take action on the Diaoyu Islands (known in Japan as Senkaku Islands) after the Japanese government ignored warnings from Beijing and “purchased” three of the islands, which belong to China. Two China Marine Surveillance patrol ships reached waters around the islands, in the East China Sea, after Beijing announced on Monday territorial coordinates for waters off the islands. Beijing also announced plans to implement normal surveillance and monitoring of the islands. Given China’s territorial definition, through the coordinates, entry into waters around the islands by the Japanese Coast Guard or Japan’s Self-Defence Force troops will be regarded as an intrusion into China’s territorial waters, said Feng Wei, a specialist on Japanese studies at Fudan University in Shanghai. “And it is the duty and obligation of Chinese government vessels, and even warships, to guard China’s territorial sovereignty,” Feng said. 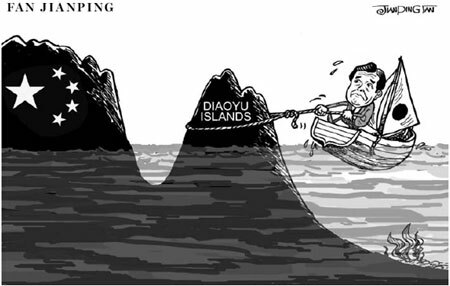 Beijing on Wednesday urged Tokyo to immediately cancel its “purchase” of the Diaoyu Islands as senior diplomats from both countries met. “China will never acknowledge Japan’s illegal grab and so-called actual control of the Diaoyu Islands,” Luo Zhaohui, director of the Foreign Ministry’s department of Asian affairs, told Shinsuke Sugiyama, director-general of the Asian and Oceania Affairs Bureau of the Japanese Foreign Ministry, during their meeting in Beijing. Japanese Cabinet Secretary Osamu Fujimura said on Wednesday that the purchase of the islands from “private owners” was completed on Tuesday, a move that sparked protests and countermeasures from Beijing. Liu Jiangyong, an expert on Japanese studies, said Japan’s farcical “purchase” is aimed at extending its reach and projecting an image of so-called actual control over the islands in a bid to mislead the international community that it “owns” the islands. Meanwhile, the Japanese political establishment is calm but firm. No one wants to be seen as behaving like Kan Naoto in the fall of 2010 when the first Senkakus crisis arose. Prime Minister Noda has made it clear where he stands, and he is likely to be reelected as Democratic Party president this month. A pier and heliport would be of use in any event to facilitate the rescue of fishermen in trouble. 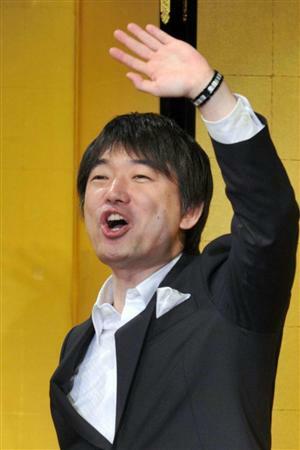 The weakest of the three is Ishihara Nobuteru, the son of Tokyo Metro District Gov. Ishihara Shintaro. Though he’s conservative, he isn’t as Pat Buchanan-ish as his father. He’s thought to be the choice of the Old Guard, perhaps because he’d be a good boy and follow their instructions. But Mr. Ishihara isn’t making a convincing case for himself in the LDP presidential campaign. He has a tendency to say peculiar things. The most recent peculiarity arose at a news conference when he said he thought the Chinese wouldn’t invade the Senkakus because “they’re not inhabited”. There is little point in Western government officials, think tankers, and editorialists helpfully suggesting from the sidelines that everyone should stay calm. Too many people aren’t interested in staying calm.